With more than two decades in the entertainment industry, Pabi Moloi is not planning to slow down any time soon. We chatted to the versatile TV and radio personality about motherhood, her greatest challenge and life in the spotlight. We meet on a Monday morning at Mama Mexicana restaurant in Maboneng Precinct, the creative hub of Johannesburg East. One can’t help but be drawn to Pabi, whose infectious laugh rings out as she has her hair cut while sipping on a strong cappuccino. She describes herself as having a real heart for people, which goes without saying when one considers she’s been an entertainer since her childhood in the 90s. Today she’s very much a permanent fixture in the industry. ‘I was a performer from the start,’ she smiles. ‘I remember being asked if I would like to be on stage.’ Needless to say the answer was a resounding yes, and she landed her first paying job at the tender age of four! Her passion for the industry was ingnited, and Pabi hasn’t looked back since – 31 years later she’s still hot property. She is proud of the cultural diversity of her early years, and having had access to the best of both worlds – life in a township and a private-school education. 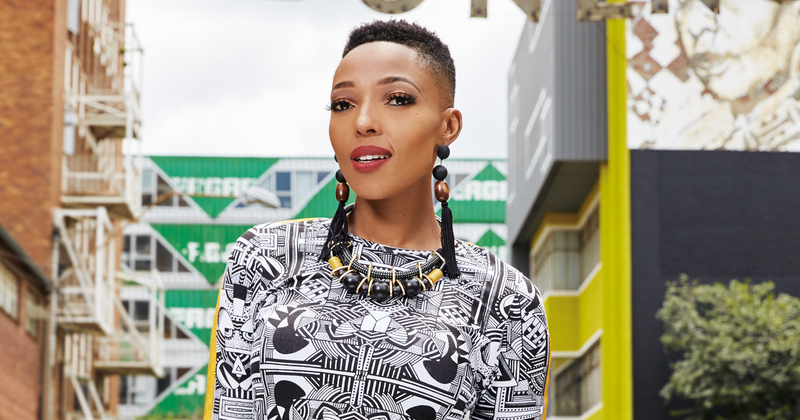 The Soweto-born dynamo has extensive experience in broadcasting, having hosted M-Net’s kiddies’ show, K-TV, from the age of 11 as well as the first eight seasons of the popular magazine show, All Access Mzansi. 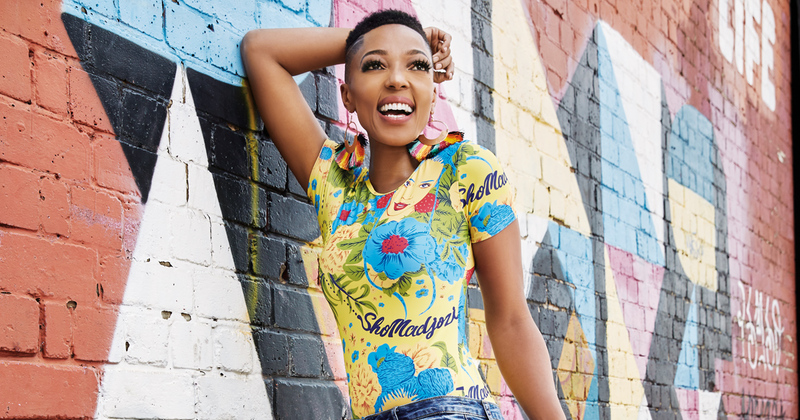 Some of her more recent projects include presenting on live shows such as TLC’s Love at Second Swipe and SABC 2’s ballroom dancing show, Strictly Come Dancing. 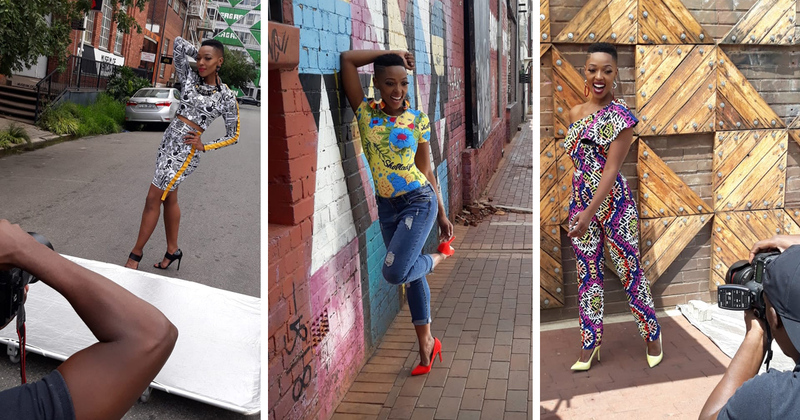 Besides her television work, Pabi’s made a name for herself as a radio presenter, hosting shows on Gauteng youth station YFM and talk radio Power FM as host of Power Breakfast. Pabi believes success is when one feels proud of their accomplishments – and proud she is of her achievements thus far. Pabi credits her passion for entertainment and her dedication to her mother, veteran actress Nana Moloi, who rose to fame for her roles in shows such as the 1974 smash-hit musical Ipi Ntombi. Pabi fondly recalls her mother and aunt’s performance at her pre-primary school. ‘My mom was so revered and so beautiful. I just knew she was different,’ she smiles. ‘She is so resilient and smart. I have a lot of her professionalism, for which I’m grateful.’ Pabi’s mother clearly passed on the tools with which she has carved such a successful career. For Pabi, motherhood has been a journey of undying and unending love. Asked to sum it up in one word, she says an adventure would best describe her experience of motherhood thus far. She is tight-lipped about her upcoming plans, but we have no doubt that we will be seeing more of Pabi for years to come. * In 2011 she was awarded the Ultimate Style Icon Award at the SA Style Awards. * She enjoys a healthy lifestyle and shares her fitness journey with fans. * She is the first girl and only granddaughter in her family. * Another career highlight was travelling to China. * I love salty snacks. * The Garden Route is my ideal holiday destination in South Africa. * My go-to outfit is a pair of skinny jeans and a white vest for the day, and a little black dress for the evening. * You will never find me without my son.